Usage notes: In reference to something that happens very rarely, English speakers say "once in a blue moon." 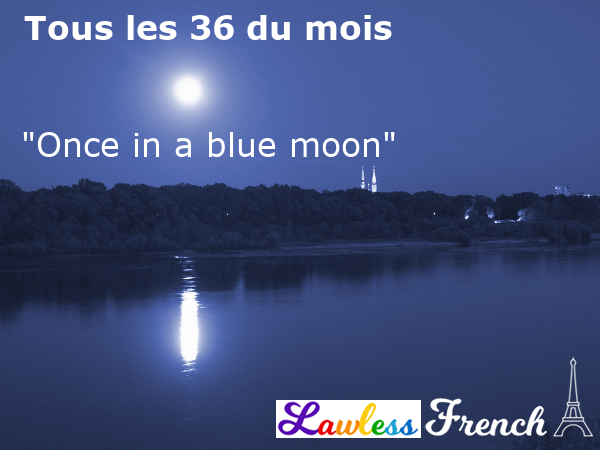 There’s a blue moon (une lune bleue) on average once every two to three years,* so this is a poetic and fairly logical expression. The equivalent French expression is tous les trente-six du mois, which I’ve always found very odd. There’s no such thing as a month with 36 days (at least not on this planet), so the 36th of the month is nonsense – shouldn’t that mean "never" rather than "rarely"? In fact, it does mean "never" in the same exaggerative way that word is used in English. You only write to me once in a blue moon! Mon mari fait la vaisselle tous les 36 du mois. My husband does the dishes once in a blue moon. 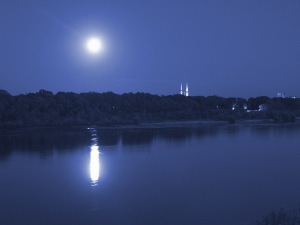 * There are two potential meanings for "blue moon" – learn more.